Home > Holidays > 2019 Halloween Food, Decor & Craft Ideas > 21 Spooky Dollar Store Halloween Decor Ideas You Need to See! It’s so easy to spend a lot of money decorating for Halloween when there are so many weird and wonderful decor items to buy. But if your budget is tight don’t worry, just head to your local Dollar store and make your own decorations! I’ve been hanging out over on Pinterest looking for the best Dollar store Halloween decor ideas I could find, and you’re not going to be disappointed by this collection. 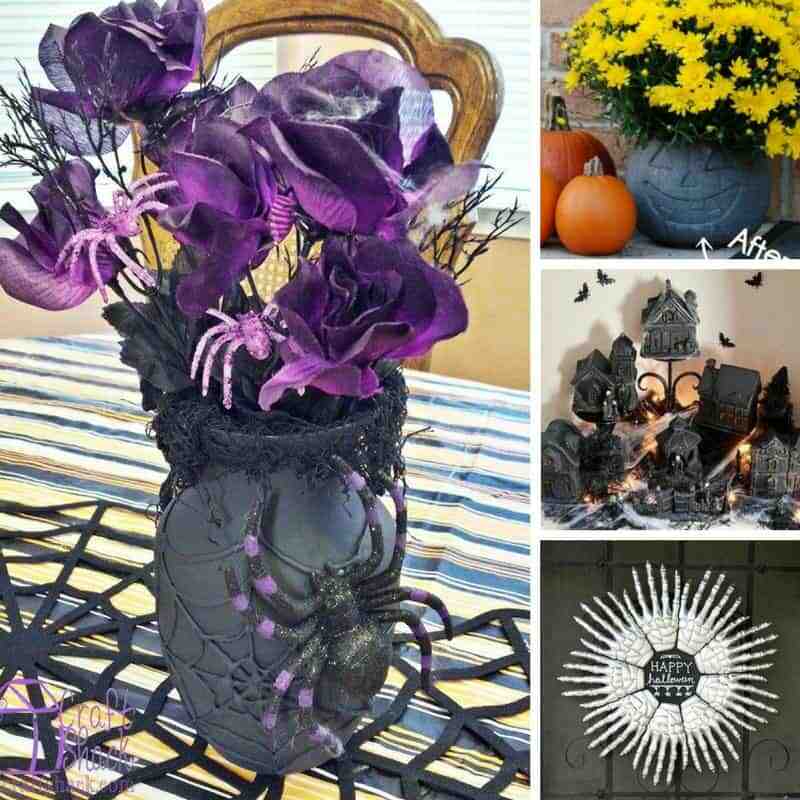 I found everything from a boneyard lantern and some skull candlesticks to a spider vase and even a pumpkin planter that looks like its made from cement, but totally isn’t! 25 Unusual Pumpkin Decorating Ideas – Without Carving! Previous PostPrevious 10 Christmas Cupcake Toppers to Make Your Cakes Look Fabulously Festive!